I’ve been involved transitioning multiple products to be under a single brand. It was successful for most of the products but was a huge failure for one. This one product had a huge brand following and recognition that the package redesign alone lost shelf impact causing sales to fall drastically. In less than a month, the new packages were pulled from stores leaving the product out of stock providing it's major competitor valuable opportunity to reap the rewards... increase their brand impression. That’s the worst-case scenario, lost revenue from lost sales, lost brand impression from customer confusion and, let’s not forget, the expense of the failed redesign. That possibility of a failed relaunch is scary, but should not necessarily stop you. All transitions of brands to another identity will have some consumer confusion as the they relearn the product as a different brand. 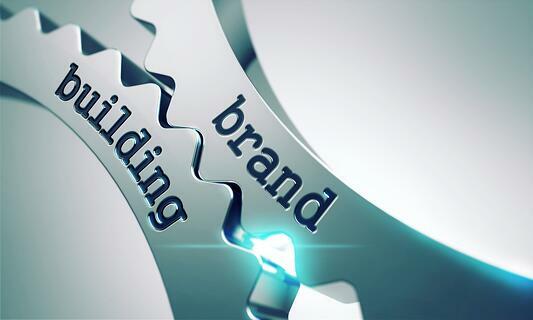 Long-term goals for your brand and product strategy can be a strong enough driver to support the rebranding. The effort must include marketing plans that will carry the efforts to a successful conclusion. More visibility through PR, video and ads are necessary to attract consumer attention. Should you promote one of the brands as a sub-brand? Of course that is an option and has been used successfully. Sometimes that is a step in the process of transitioning that “sub-brand” away. Companies often create sub-brands to feature a category distinction or to create a new category. You have to first consider your primary consumer - are all products made to satisfy the same audience? And, knowing the industry you are working in will help decide whether the sub-brand is first or secondary to the main one. There are examples where the sub-brand becomes as recognizable as the parent name and over-time the parent name diminishes in visibility. Old school history lessons of what a brand is sites Xerox, Kleenex and Coke. These 3 names became descriptors of everyone's similar products. All photocopies were referred to as Xerox’s; tissues are most often call Kleenex. Understanding the awareness level of each product and whether there would be positive consumer feelings if they become associated under one brand must be considered. There's more involved than redesign and printing new packages. It requires a communication strategy to introduce and assist consumers in recognizing the identity change of the products. Here are the 8 key questions to answer with brutal honesty and the facts gained need to be present to all people responsible for deciding the Multi-brand move to a single brand. What is the consumer awareness of each product/brand? Does any have strong brand equity on it’s own that poses potential of damaging awareness? What are the consumer demographics of each and will they work under one brand? Will all the products benefit by being recognized under one brand? What are the potential risks for each product? What will be the brand architecture? Brand/sub-brand, endorsed brand? What is the cost? Remember all facets from labeling, packaging and website to signage. What is the timeline – will it be staggered or all launched at the same time? Have you planed for time to transfer equity of to the parent brand? Will you throw out old packaging or deplete inventories? Revising product strategy to a one-brand architecture is complicated. Being prepared for any possibility will help make the complications easier to manage. When handled well the change can result in a stronger brand, stronger sales and reduced management costs. Marketing and management is condensed to one brand – no longer a complex multi-product portfolio. If you're considering condensing products to one identity or adding products to the brand and have questions about the feasibility and best procedure give us a call. We have experience working with multi-brand platforms and expanding product lines.